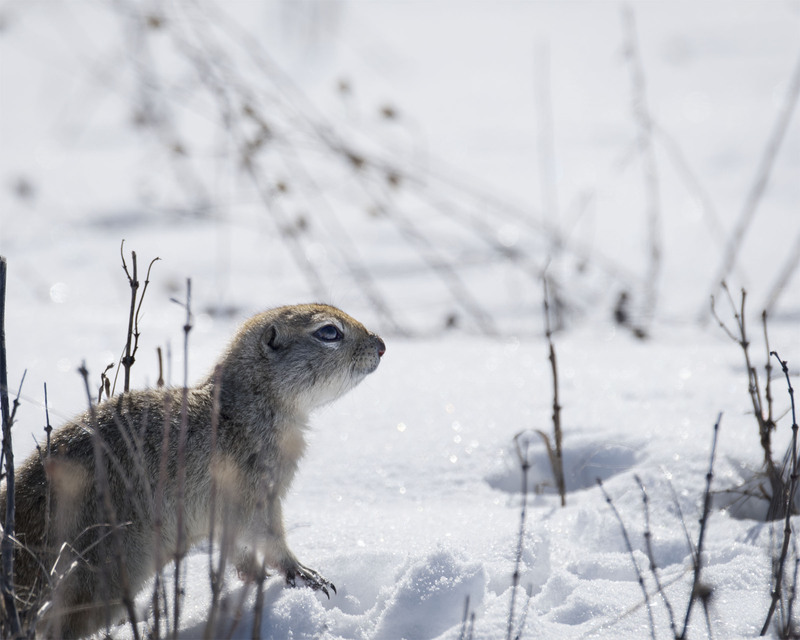 With the weather this last week going from shirt sleeves and short to gore-tex and boots in the course of a single day this Prairie dog asks the question is it spring yet? Although I like the unpredictability of it all it sure was nice sitting on the patio with the afternoon sun warming my bones the other day. Why are furry rodents so cute? Hope spring settles soon. Hi Eliza, spring has not sprung so to speak but is making a slow and measured appearance and everyone (all plants and animals) seem to be waiting patiently. We call it something similar except maybe more like “sprinter” as each day it sprints back and forth between the two season and most days seems to be doing both several times each day. This morning we have a nice new inch or so of white stuff. Hope you have a wonderful weekend. HI and I wonder what lives in those holes. Let me know if you ever get a peek. Hi and we are not so lucky as it snowed again overnight. Its a full mix of both winter and spring and both seem to happen each and every day right now. Hope you are enjoying spring and have a wonderful weekend. He is a cute little fellow and just what so these guys do under the snow for so long in winter?